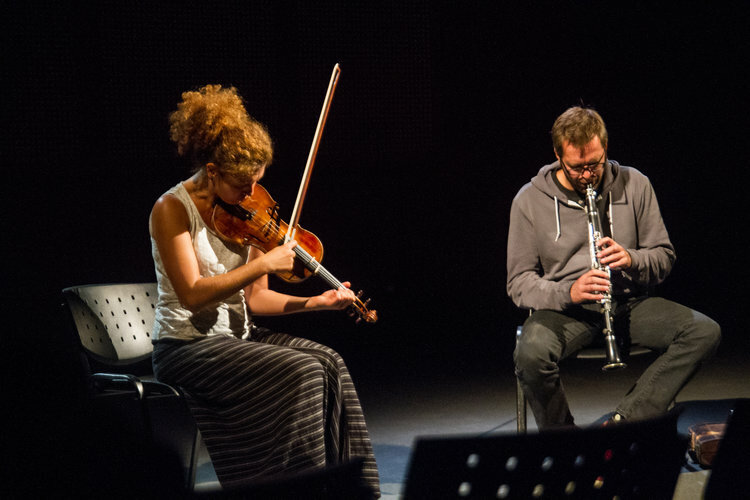 The Berlin-based Bulgarian violinist Biliana Voutchkova and German clarinetist Michael Thieke have worked together intensely within both compositional and improvisational duo and group projects in Berlin since 2011. In their current project “Blurred Music”, the duo works with musical structures that create a blur; improvised parts alternate with fields of pre-structured material in which digital recordings of the duo are duplicated by live performance. Virtually identical fragments of the live performance synchronize simultaneously with the playback, unavoidably giving rise to blur in the temporal dimension, in the rhythmic, timbral, and motivic variations, and in the microtonal interpretation of individual pitches. The live portion of the duplicated material is still improvised, but within a framework purposefully restricted by the pre-recorded material, the intervals between which are indeterminate. To the listener’s perception, what is being composed in real time blurs into what has been structured in advance; the difference can be registered only after an interval, if at all. The triple CD ‘Blurred Music’ features three of the duo’s live performances, recorded in Chicago, Philadelphia and New York during their USA tour in December 2016. These three live recordings are all differently structured, factoring in the conditions and the atmosphere of each venue as well as the musicians’ own perspective and mindset. This series of three concerts, all occurring within a nine day period, showcase the very wide range of this duo, so all three recordings combine to form a saga of their peak. 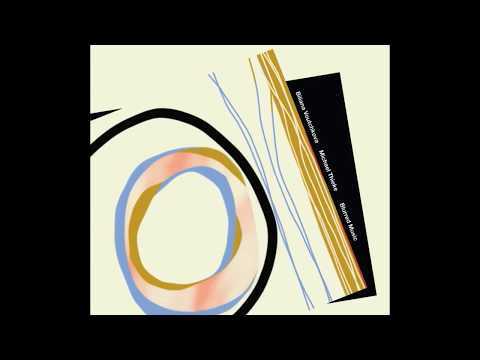 Using their highly trained virtuosic skills and intense concentration, the duo carefully deconstructs the conventional tones of instruments into fine particles in an organic flow, to create a completely new world of music on their own, somewhere between tonality and atonality, and will hopefully be recognized as one of the most mature accomplishments of improvisational/compositional works of this era.